After cleansing, soak a cotton wool pad in toner and sweep over face, neck and décolleté. Alternatively, apply directly onto skin as desired throughout the day for instantly hydrate and refresh. This product has transformed my skin. My pores are visibly smaller, my skin is clear and glows. Best toner I’ve ever used. I'm addicted to this product it lifts my spirits every time I use it. 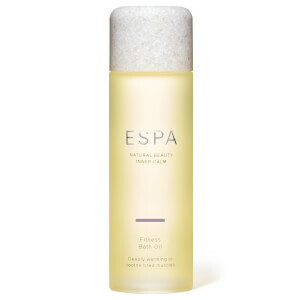 This is my favourite product from ESPA. The spray is very fine and it feels so good on my face. My skin feels supple and younger each time I use it. I have to always make sure I have a supply so I never run out! The spritzer is absolutely brilliant and it's my favourite product from the ESPA skin care line. I love it because the toner sprays out so gently onto the skin. It feels so good each time I use it after washing my face clean. The toner hydrates my skin all day. I can tell my skin feeling and looking better after a month's usage. I am in love with this one!! I really value this toner considering how very sensitive my face is to most toners. I easily get an allergic reaction in dry areas of my face and things get worse if toner happens to have any sort of scent. 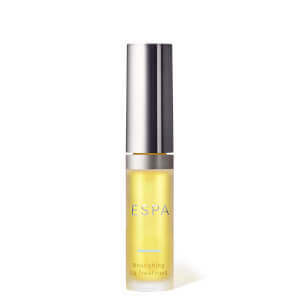 I have been using ESPA Hydrating Floral Spafresh for over 1.5 years now and I love it. It doesn't dry my skin and doe not create any redness or itching. Toner gets immediately absorbed by the skin as you apply it, which allows you to immediately apply your serum or moisturizer right after without having to wait for the toner to dry up first. Once applied this toner moisturizes the skin leaving a feeling of deep hydration (sensation of water being quickly absorbed by the skin, not oily or creamy) which helps to refresh dull skin. I also use it during the day whenever I feel my face feels like needing extra water: AC, make up, airplane etc. As it comes in spray format it is very easy to use and spray anytime you need it, even if wearing make up. It will not alter my make up in anyway. I also love the amazing light scent. Like in most ESPA products I have tried this is always a huge plus. Because this product provides a fresh and relaxing scent I sometimes spray the room when I am feeling stressed and just want to pause and center myself. I even did it once when I couldn't sleep. Just by spritzing Floral Spafresh in front of you can transform the room into a more relaxing place. The only downside to product is price. In the US is very expensive compared to some other quality brands. Such a good product, highly recommend. I brought this spritzer with a gift card that came free with a magazine. I use it every day, morning and night and I can’t get enough of it! It gives such a fresh feeling when sprayed directly onto the face and also a cleansed feeling when using it with a cotton pad. It also has such a delicate, refreshing smell! I would highly recommend this spritzer to anybody! I have a combination skin type and I find it perfect for my skin! Currently on my 4th bottle now and have found a local salon where I can pick it up from!